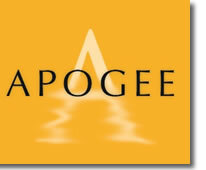 At Apogee we help you to achieve your goals of business ownership, financial freedom and flexibility. With your energy and drive, and our years of experience in the industry we place you in direct control of your own Executive Search and Management Recruiting business. Apogee knows the executive search and recruiting industry from the inside because we own, have acquired and operate many companies in this space and possess the infrastructure and integrated proprietary processes that today allow us to align the world's greatest talent to a client's culture and strategic objectives. Apogee's expertise runs deep and traverses multiple industries. Our client base includes companies that vary in size from small startups to the Fortune 20. Healthcare, Technology, Energy and Financial Services are among the many industries we serve. Apogee's high powered, pragmatic recruitment methodology blends interactive onsite training on all facets of the recruitment lifecycle, state of the art technical and business management software, tools, templates, insider techniques and implementation know-how that gets your own Executive Search and Management Recruiting business started and producing fast. As the owner of an executive search and management recruitment firm, you will be contracted by client companies to source and recruit skilled job applicants for specific positions within your client's organization. For a fee paid to you by your client, you will be tasked with finding qualified candidates for your client that have a good skill and experience match for specific job openings. You may operate your business as a sole individual recruiter full, or build a staff of recruiters that work for you and you can start full time or part-time. 4 days of live professional instructor-led training. 4 nights resort style lodging in congruence with the live training. Apogee H2R software package - A state of the art web-based, back-office recruiting software package. Apogee Website package – A full function website that is linked to your Apogee H2R recruiting software and customized with you business information. The Apogee Exchange – a job and candidate sharing database that allows you to share selected job assignments and candidates with other licensees and recruiters. Materials Package - Sample and template contracts, forms, marketing scripts, letters and other related documents. 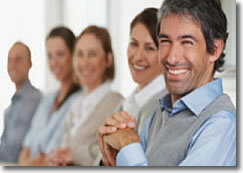 Advanced Apogee H2R web based training and technical support post training. Client job assignments to work immediately post-training to assist in getting your business up and running fast. As an Apogee licensee, you have access to an all inclusive toolbox of recruitment solutions that, when combined with our live professional training, provides a successful turnkey operation for your own Executive Search and Management Recruiting business. Whether you are starting your business full-time or part-time, we provide you everything you need to start building your own successful executive search and management recruiting business the day you walk out of training. Successful Executive Search and Management Recruiting Business. Click on Request Information for FREE info on how to open a Apogee franchise today! Please Note: This Apogee franchise opportunity and other franchise business opportunities, businesses and franchises for sale on this web site are not to be considered as an "offering", "franchise offering", suggestion or recommendation by Franchise Leader™. This advertisement depends entirely on the truthfulness of the information provided by our advertisers which includes, but is not limited to, franchisers, franchise brokers, franchise consultants and business brokers. Franchise Leader™ recommends that you consult a lawyer, financial consultant, accountant or professional advisor before buying a franchise or business opportunity or any type of business. By using this form or any part of our website, you have agreed to all terms and conditions of Franchise Leader™. Please review our Terms & Conditions for more information.